Are You a UN Vendor or you want to become one? With the implementation of the new ERP system (UMOJA) at the United Nations, it is now mandatory for all Business Partners/companies who wish to participate in any EOI/Bidding exercise to be registered with the United Nations Global Market (UNGM) and accepted by the United Nations Procurement Division (UNPD). If the companies are not registered with UNPD under the UNGM, UNIFIL will not be able to include them in any of the future bidding exercises. Attached is a quick reference to guide you on how to register with the UNGM. You can check also the UN Global Market on http://www.ungm.org. 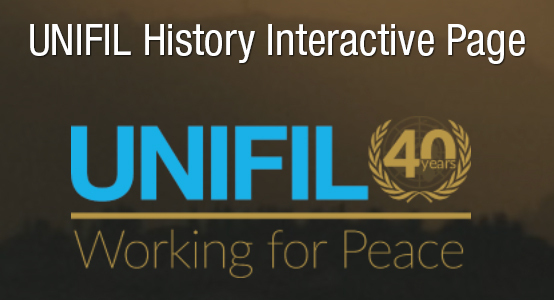 The information contained in this page is intended to encourage new vendors of relevant products and services to register with the Procurement Section of the UNIFIL. Interested firms/organizations already registered with the Procurement Section should immediately forward their EOI to the attention of the referenced Procurement Officer, giving the EOI reference number and Subject, their vendor registration number, and the commodities/services for which they are registered. These notices do not constitute solicitations. The United Nations reserve the right to change or cancel these requirements at any time during the EOI and/or solicitation process. The United Nations Procurement Division consider a firm's qualifications and experience in the particular commodity/service area, and previous performance, when preparing a list of invitees. Therefore in the case of EOI's concerning equipment or supplies, for responding vendors who are not manufacturers, full details of the vendor's status as a factory-appointed wholesaler or distributor must be provided if not already on file with PD. Thus submitting an EOI does not automatically guarantee a firm will be considered for receipt of the solicitation when issued. You can check also UN Procurement Division page by clicking on this link here. Establishment of a Long Term Agreement (LTA) for the provision of Freight Forwarding Services for the Transportation of Combat Rations Packs in Refrigerated Containers.